There has been a lot of Monday-Morning-Quarterbacking in the gun world about that awful, awful, tragedy. Rather than piling-on in that respect, I thought I would simply take a moment as a pediatrician to remind parents, grandparents, caregivers, and even the occasional party host, that small children are MUCH more agile, strong, and curiosity-driven than we give them credit for. Put simply, this tragedy happened at the unfortunate intersection of toddler and “opportunity”. Children are little scientists, and little tool-users, who are constantly experimenting with the world around them. You can look in their eyes and just see the wheels turning. Your toddler may not realize that he is testing the laws of gravity, but he IS doing an experiment to see if the mashed potatoes ALWAYS hit the floor when dropped from the high chair, or if they only fall SOME of the time. The fact that the potatoes sometimes land on the dog’s head instead of the floor does not alter the fact that they ALWAYS fall. That may be a given to you, but to your child, that is new experimental information. Anyone who has watched a 15 month old push a chair across the kitchen floor knows that toddlers will use any object as a “tool” to get at what they want. Combine both of those traits – curiosity and tool-using – and you have a child who can defeat “child-proof” caps, unlock doors, and find “out-of-reach” hiding places. I even heard a story about a slightly older child who used the edge of a coffee table to rack the slide of a semi-automatic pistol! (Yes, really) These resourceful skills – although valuable and positive traits in adulthood – render your home (including car, grocery cart, etc.) not nearly as safe as you think they are for small children. At the same time, parents tend to under-estimate their child’s physical abilities when it comes to hazards. They think that Johnny is a genius, but that he can’t open the pool gate. They think that Susie will grow up to be a Rhodes Scholar, but that she can’t find a way to reach the top of the refrigerator where grandpa keeps his “bang-bang”. They think that Bobby can’t work the zipper on grandma’s purse to get to her heart medication “candy”, and they think that Janie isn’t strong enough to pull the trigger on mommy’s purse gun. The ER, and the Pediatric Intensive Care Unit, and the county coroner all will tell you how tragically wrong those assumptions are. In medicine, there this concept of “layers of patient safety”. This is the reason the nurse or lab tech asks you to state your name and date of birth – in addition to scanning your wristband – before giving meds or drawing blood. It is also the reason that you may be asked to take a marker and label the side of your body that is having surgery. It adds another layer of safety to help mitigate the effects of human error. It is a bit like stacking slices of swiss cheese together – hopefully no hole goes all the way through. The idea is that even if one layer of safety fails, the error will be caught by the other layers before causing harm. I like this idea when it comes to firearms safety and small children. A multi-layered approach helps “catch” kids who may have abilities beyond what we give them credit for. I talk about the Eddie Eagle Rules in the office, and that is a fine program for older children, but toddlers and pre-schoolers aren’t going to “get” that. They have no forethought and no impulse control. You need another layer of safety – quick access safes, or a holster that never leaves your body, or some other option I may not have even thought of. Also keep in mind that children are masters of observation. If your child can unlock your phone, they probably know what your safe combo is too – IF you aren’t careful. Be aware of little eyes that may be watching you – especially when putting away a key or inputting a passcode. 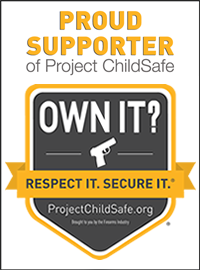 Kathy Jackson of The Cornered Cat http://www.corneredcat.com/contents/ has some excellent articles on children and gun safety in the home. This woman has been-there-and-done-that with rambunctious children, and she will both make you chuckle, and make you think. 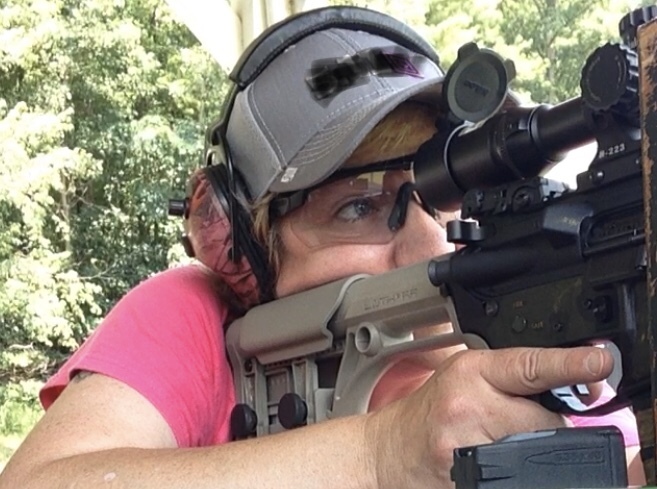 But if you take nothing else away from this post, I am asking you – PLEASE don’t rely on false assumptions about your child’s strength, agility, or good sense as your only layer of firearms safety. PLEASE stack-up that swiss cheese – because as that poor family in Idaho found out – a firearm can be tragically unforgiving of innocent childhood exploration. 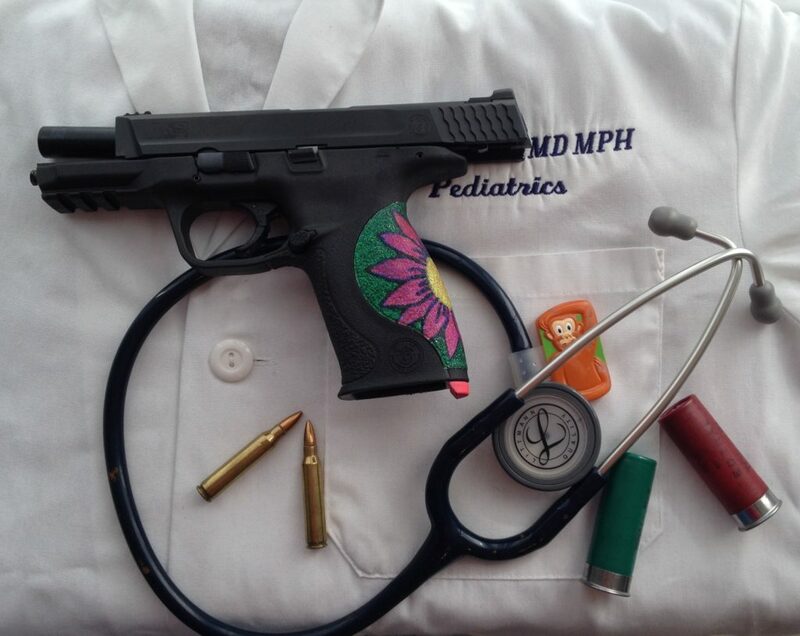 You may consider contacting Doctors for Responsible Gun Ownership. We are on Twitter, Facebook. We'd like to cooperate with you. Gun safety should be taught always….but amazing how much people focus on firearms when there are so many other objects in our homes that are just as dangerous and even more..poisons kill more, and we hardly talk about locking them up. Sometimes people say to keep them out of reach. and the media only seems to report – about guns and doesn't talk about the fact that there are way more live saved because of guns than lives taken. I've spent thousands of hours researching the firearms issues and its frustrating. there are more injuries in school sports and shooting sports for example. Thank you for your comments. I agree that it is incredibly frustrating when the media focuses myopically on guns. If you'll notice, in the post, I also mentioned pools and medications and even peas as other potential hazards. When discussing firearms in my office, it is always part of the broader safety talk where I discuss seatbelts, and bike helmets, etc. I focus on firearms here, because it is largely a firearms blog, and this particular post was in response to a widely publicized tragedy. But I agree that firearm accidents involving small children are a statistically smaller danger than other hazards in the home.